Richard Ivins is the founder of Pure Power Engineering, Inc. Since entering the solar industry in 2009, he has been leveraging previous construction experience to design value-engineered systems that don't just look good on paper, but help installers build quality systems faster, cheaper, at lower risk. 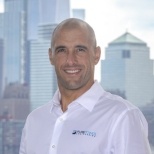 Richard holds several notable licenses and certifications, including Professional Engineering (PE) licenses in 47 states, 3 Masters degrees, Project Management Professional (PMP), NABCEP Certified Solar PV Installer, and is a New Jersey Licensed Electrician. Bill Chaney is the Director of Business Development at Pure Power Engineering. He has worked in the engineering field since 2007, spending most of that time on renewable energy. Bill has extensive knowledge about solar energy and photovoltaic systems, leveraging that expertise when developing client proposals. Bill works closely with Pure Power clients to manage their needs and help structure their project team for maximum performance and efficiency in all stages of the project lifecycle. Immediately prior to joining Pure Power, Bill served as the Chief Operating Officer of a leading engineering firm, where he grew the solar division to the largest on the East Coast. 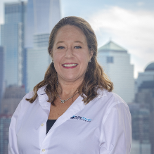 Elizabeth Pitt is the Controller at Pure Power Engineering. She has worked in multiple sectors, such as engineering and healthcare, as controller since 2000, entering the solar field in early 2018. Bringing her engineering experience with her, she has a greater understanding of the engineering that benefits our firm. As controller, Liz handles all of the finances related to our clients and ensures that everything is billed accordingly. 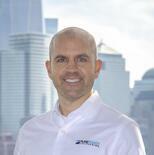 Matthew Donovan is the Lead Engineer and Senior Engineering Project Manager at Pure Power Engineering. He has been working in solar engineering since 2006 and has lead the Pure Power team since 2015. Matthew has a B.S. in Electrical Engineering and a M.S. in Applied Physics and holds a Professional Engineering (PE) license, an Unrestricted Construction Supervisor License (CSL), and is OSHA 10 certified. Matt is responsible for over 170 projects totaling over 170MW, across at 15 states. Matt manages a team of in-house engineers and drafters to assemble full construction design packages, with a focus on technical accuracy, value engineering, and constructability. Matt coordinates all outside engineering activities with vendors and sub-consultants and responds to AHJ comments and RFI during permitting and construction phases. Roman Keniuk is an Engineering Project Manager at Pure Power Engineering. He has worked in renewable energy as a solar engineer since 2011 and has been with Pure Power since 2014. Roman has the OSHA 30 certification and is a NABCEP Certified PV Installer. He has worked on countless solar projects from Amazon Fulfillment centers to major malls. 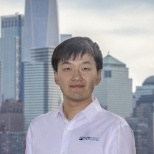 Boshi Xie is an Engineering Project Manager at Pure Power Engineering. He has been working in the solar field since 2012 and has been with Pure Power since 2015. Boshi has his Professional Engineering (PE) license and is a NABCEP certified solar installer. He has engineered thousands of kW for solar PV projects across the United States. Scott Meacham is an Engineering Project Manager at Pure Power Engineering and has been with the company since 2012. Since then, he has held roles as a Solar PV Designer, Commissioning Engineer, and Project Engineer. 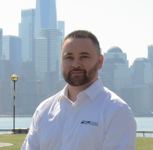 Scott brings his applied knowledge of construction having been an electrician for over 10 years installing power and SCADA infrastructure for commercial buildings and industrial facilities nationwide. He worked in the water treatment and mining industries prior to joining the solar industry as an installer in 2011. At Pure Power, he and his team of in-house engineers have been successfully designing systems totaling hundreds of MW- some of which belonging to distinguished Fortune 500 companies, including Amazon, Home Depot, Costco, GE, UPS, among others. 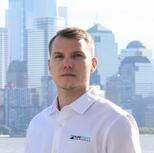 Scott is a NABCEP Certified PV Installation Professional, OSHA 30 certified, and is a NY-Sun Incentive Program Installer. 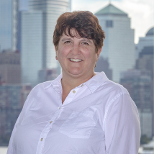 Britton dePaolo is the Project Coordinator at Pure Power Engineering. She has been in the solar field for over 13 years, handling all account activity from project initiation to completion. Britton interacts directly with clients, providing prequalification packages, proposals, NDAs, master services agreements, and more as well as handles contract negotiations. Max Pargament is the Operations Manager at Pure Power Engineering. Previously, he served as Head of Operations and Head of Compliance for a solar installer and supervised the construction of 5MW worth of residential projects. Max has worked in solar for over three years and handles all aspects of operations to get projects completed quickly and efficiently. Max is also a CPA.